I love cookbooks. I love the pretty pictures. I love the promise of an intriguing meal. I love receiving them as gifts. I certainly love giving them as gifts. The Huffington Post tweeted out a link to thier article featuring the best cookbooks of 2010, so naturally I opened it with enthusiasm, hoping to get cool gift ideas for this year. Disappointment soon followed. How could they have Meat: A Kitchen Education, but nothing labeled as vegetarian or vegan? In response to that, I’m presenting you with what my fellow Twitter and Facebook friends (and I) feel are the best offerings so far. Trust me, cookbooks are one rockin’ gift to give a vegetarian or vegan. Vegan Cupcakes Take Over the World: 75 Dairy-Free Recipes for Cupcakes That Rule by Isa Chandra Moskowitz and Terry Hope Romero. This is my all-time favorite. One of my most treasured Christmas gifts, I’ve also given it as a gift to many people. 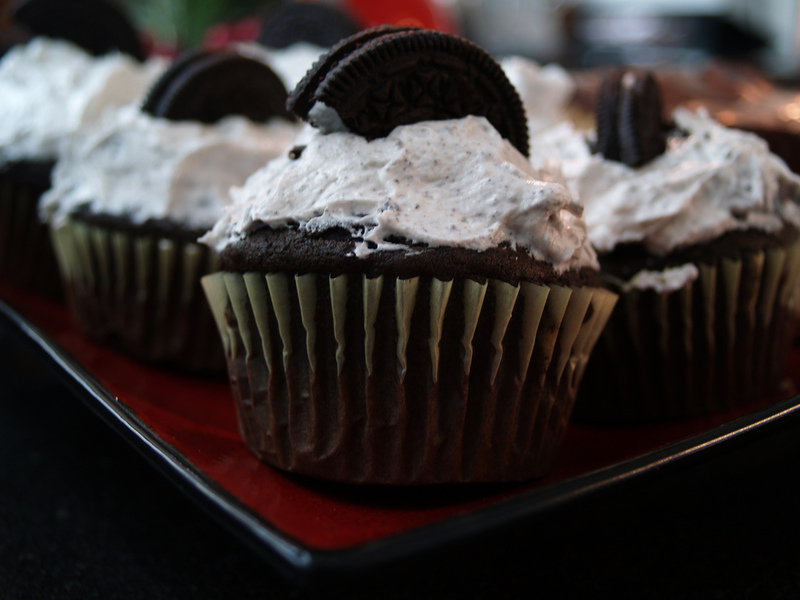 Not only are these cupcakes beautiful, but I swear on my life they fool even the most die-hard dairy-lovers. The ones I most frequently make (and so far my favorite) are Cookies ‘n’ Cream on page 40. My favorite vegan food. Ever. 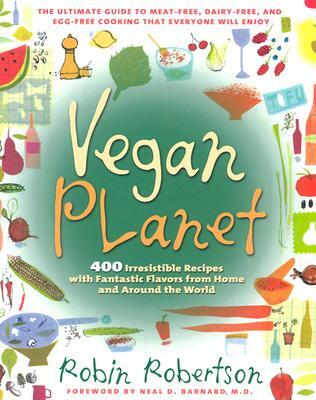 Vegan Planet: 400 Irresistable Recipes With Fantastic Flavors from Home and Around the World by Robin Robertson. Borrowed from my friend Stacey, at first glance I thought, “Where are the pretty pictures?” Then I dove into the book and realized that not only are the recipes doable, they are so delicious. You must try the Fettuccine with Red Lentil Sauce, Corn Chowder, Chocolatey Peanut Butter Brownies, and the Veggie Pot Pie. Honestly, you don’t have to call it your “vegan” cookbook. You can just call it your “favorite” cookbook. The Vegan Table: 200 Unforgettable Recipes for Entertaining Every Guest at Every Occasion by Colleen Patrick-Goudreau. Recommended by my sister-in-law, Stephenie (who not only is a devout vegan, but even juices for weeks on end! ), this one is affordable and has 133 5 star reviews on Amazon. Blackberry Pecan Crisp? Sign me up. 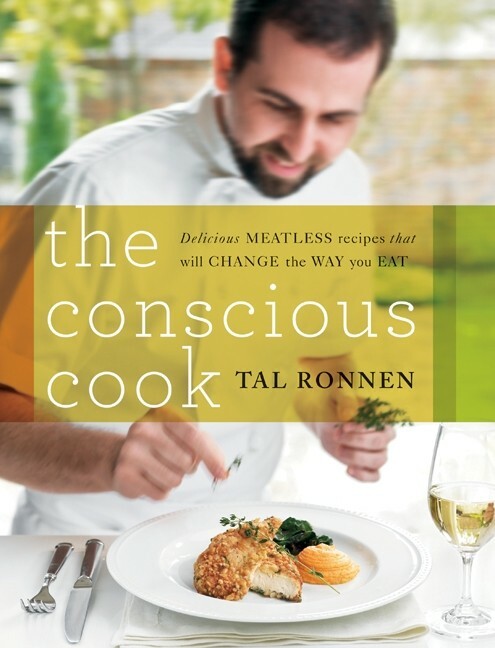 The Conscious Cook: Delicious Meatless Recipes That Will Change the Way You Eat by Tal Ronnen. Recommended by my veg friend, Elinor, this is a decadent, high-end guide to quite fancy vegan cooking. “Inventive, gourmet, hearty vegan fare,” is how she described it exactly. We are going to have a Conscious Cook gathering soon to experiment. 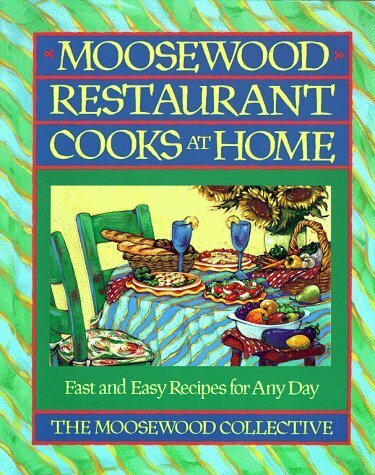 Moosewood Restaurant Cooks at Home: Fast and Easy Recipes for Any Day by Moosewood Collective is close to my heart because Moosewood Restaurant is close to where I grew up. If you ever find yourself in Ithaca NY, you must visit this restaurant. Moosewood has 12 cookbooks out now and you can see them all here. 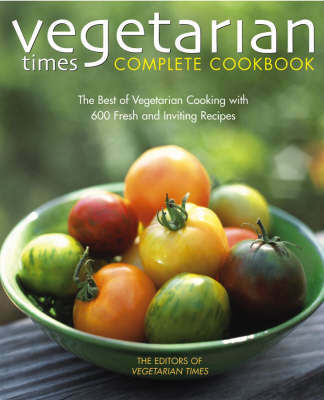 Vegetarian Times Complete Cookbook by Vegetarian Times Magazine. Recommended by my friend Sam, this one clearly has some street cred. Though I don’t own this book, Vegetarian Times Magazine is pretty fantastic and I may just have to put this on my must-have list. This goes beyond recipes and gives readers foundational information about becoming a vegetarian. 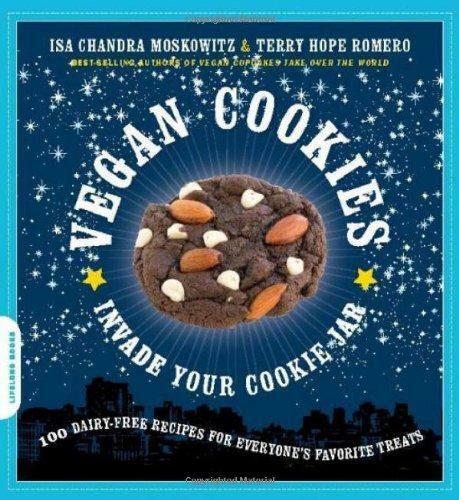 Vegan Cookies Invade Your Cookie Jar: 100 Dairy-Free Recipes for Everyone’s Favorite Treats by the authors of Vegan Cupcakes Take Over the World: Isa Chandra Moskowitz and Terry Hope Romero. This one is on my wish list, but if it is as delicious as Vegan Cupcakes, I’m in trouble. I’m sure I’ll eventually have a part II to this post because there are so many amazing veg offerings out there. Some of my favorites are from favorite restaurants: Candle Cafe Cookbook and the Real Foods Daily cookbook. Both have delicious vegetarian recipes (C3) and vegan (RFD). Well worth checking out! Thank you! I love new recommendations. Great recommendations! I’m happy to see the Moosewood cookbook on your list. It’s a favorite of mine to gift.